Home - Peter A.D. Rubin, M.D. Welcome to the practice of Peter A. D. Rubin, M.D. Dr. Rubin is a skillful, compassionate Ophthalmic Plastic Surgeon who provides the best possible care. His area of expertise is focused upon the Eye Zone, including the numerous cosmetic and reconstructive procedures in the area surrounding the eyes. The main office is located in Palm Beach Gardens, Florida. Our Stuart office, located at: 903 SE Monterey Commons Blvd, Stuart, FL 34996. Please call 772-210-4524 to schedule an appointment. The Eye Zone, the focus of social interactions and facial attractiveness, includes: Forehead. Brow, Upper and Lower Eyelids, and Upper Cheek. Learn More about Eyelid Surgeons. Peter A.D. Rubin, M.D., an internationally recognized clinician, surgeon, teacher, and innovator provides medical and surgical expertise in the field of Ophthalmic Plastic Surgery in Palm Beach County. 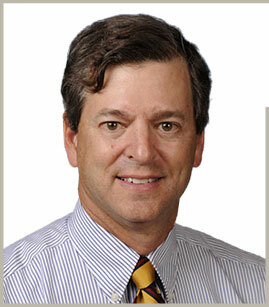 Dr. Rubin graduated from Princeton University and received his medical degree from Yale University School of Medicine. He then completed his Ophthalmology residency at Manhattan Eye, Ear, and Throat Hospital, followed by fellowship at Massachusetts Eye and Ear Infirmary, Harvard Medical School, where he directed Ophthalmic Plastic Surgery for more than 13 years. There he trained over 100 residents and fellows in the science and art of his highly specialized field. His practice focuses upon cosmetic, and reconstructive issues related to the eyelids, lacrimal system, and orbit, with a special interest in aesthetics of the eye area with expertise in injectables (Botox® and fillers) and surgery. The information presented in the website is intended for educational purposes only. It is not a substitute for patient examination and care. For appropriate assessment and treatment, an in-person consultation is recommended. © 2019 Peter A.D. Rubin, M.D. All Rights Reserved. Website designed and developed by Sperling Interactive.